Liver cirrhosis causes many harmful symptoms that develop as time goes on. These symptoms can culminate in a severe condition, with currently few treatment options, known as acute-on-chronic liver failure (ACLF). Dr Cornelius Engelmann and Professor Thomas Berg at the University of Leipzig in their ongoing multicentre GRAFT trial, funded by the German Research Foundation (DFG), will evaluate a hormone showing a lot of promise for the future treatment of ACLF. The liver acts as our very own chemical processing plant and also acts to keep us safe from harmful toxins. In fact, the liver is one of the human body’s most important organs, converting nutrients from the foods we eat into substances that the body can later use. They receive approximately 30% of our blood supply each minute and are responsible for the vital processes of metabolism or energy regulation. It is through this process that dietary nutrients are broken down to either be used or stored by specific liver cells, called hepatocytes. Whether its carbohydrates, proteins or fats, your liver processes anything and everything. Take, for instance, when you eat a chocolate bar – the carbohydrates within that bar get broken down into glucose by the gastrointestinal tract (the stomach and intestines). This glucose then enters the bloodstream, where it is transported to the liver to be stored and regulated – releasing more sugar into your body when you need energy and stopping its release when you don’t. The liver performs similar regulatory functions for fats as well, breaking them down to again provide our bodies with energy when we need it most. It also performs an important function to remove unwanted toxins from the body and can also remove excess amino acids produced by breaking down proteins for energy. In the liver, hepatocytes remove nitrogen from amino acids to create a highly toxic substance called ammonia. The liver then quickly acts to convert this ammonia into urea, which is safely released via your urine. It is no surprise then that, like with any other of our body’s organs, when the liver fails it can cause a host of problems. 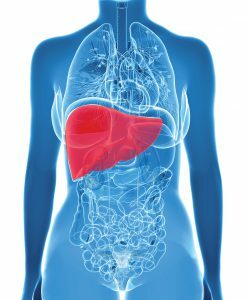 However, liver failure is arguably more life-threatening than most conditions, demanding urgent medical care when it becomes apparent. Most forms of liver failure tend to gradually develop over time, usually as a result of excessive alcohol intake, autoimmune conditions where the immune system targets the patient’s own body, or other health conditions such as viral infections with hepatitis B or C. This type of liver failure is classed as ‘chronic’, often occurring as a result of another liver-related condition called cirrhosis. During cirrhosis, the liver fails to function as a result of long-term damage. This leads to the steady onset of symptoms which might typically include tiredness, itching, yellow skin, and spider-like blood vessels on the skin. Sometimes cirrhosis can lead to another more severe and acute form of liver disease. This condition, known as ‘acute-on-chronic liver failure’, is a more serious form of liver disease, usually only becoming diagnosed when the symptoms of somebody with chronic liver disease get significantly worse. Finding new treatments for ACLF is therefore potentially life-saving. But how do you go about treating a condition that worsens rapidly, and is difficult to treat? In order to understand ACLF researchers are looking at the role of the immune system in the development of this deadly disorder. When your body perceives a threat, or a foreign substance like bacteria or a virus, it kickstarts your immune system into action – unleashing an immune response to combat the danger. This is great most of the time, in that it removes threats that would make you feel a lot worse if left to roam free. 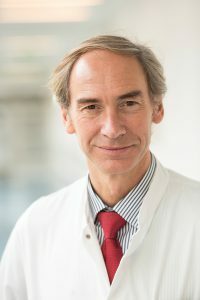 Dr Cornelius Engelmann, working collaboratively with Professor Thomas Berg – a fellow leading hepatology expert at the University of Leipzig, Germany – have been working on the role of the immune system in ACLF and are currently conducting a study, called the GRAFT trial, to examine a new treatment for the disease. Working together, Dr Engelmann and Professor Berg’s work investigates a hormone that can stimulate stem cells, that are typically contained within our bone marrow, and that possess the ability to replicate rapidly and produce any type of immune cell required for an immune response. Fortunately, there is a naturally occurring hormone available which acts as a cytokine and which can promote the release of these stem cells. This is known as granulocyte colony stimulating factor, or G-CSF for short. 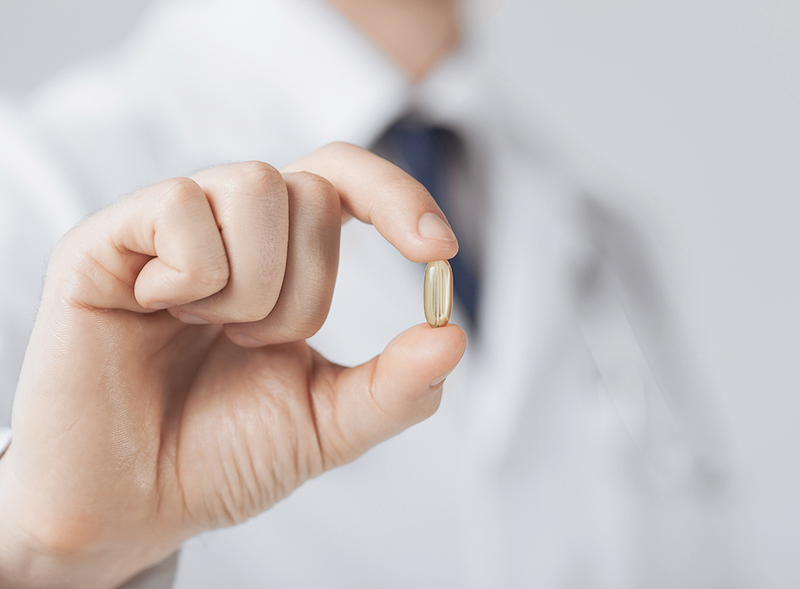 Small studies by the research team have already shown positive results for ACLF patients after treatment with G-CSF. The team is now conducting a much larger study – the GRAFT study – that will look to continue on with that research and take it to the next level to investigate the effectiveness of the G-CSF treatment across a number of liver specialist centres in Germany. 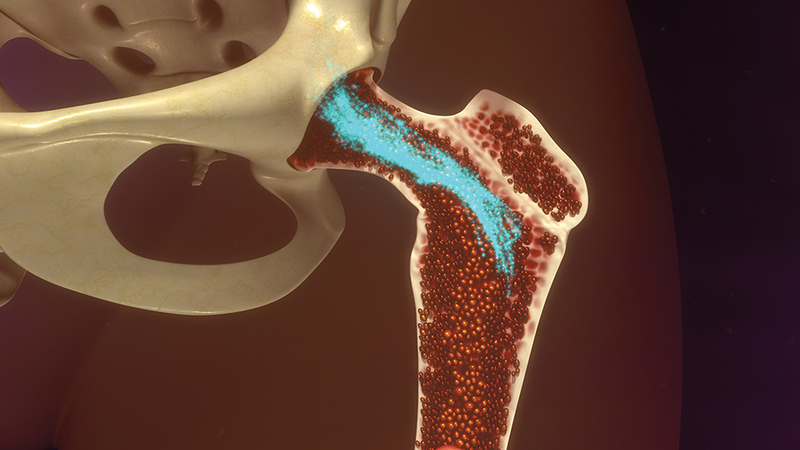 G-CSF is produced by a number of different tissues that act to stimulate bone marrow – the material within the hollow part of your bones – to produce, stimulate and release protective white blood cells, known as granulocytes, and stem cells into the bloodstream. The reason these stem cells are of such interest comes from their ability to develop into different cell types, depending on the function required and their huge regenerative potential. Within ACLF, this stem cell release promotes liver regeneration and acts to support the immune system that has become compromised. Therefore, this hormone could prove highly effective in developing new treatments for this dangerous condition. During the trial, over 1200 participants will be assessed across many liver specialist centres for eligibility. However, only 22% (262) of these will make it into the trial itself, before being split up into two groups. One group, known as the ‘experimental’ group, will receive the G-CSF treatment alongside typical treatments for liver failure, whilst the second group, known as the ‘control’ group, will only receive typical liver failure treatments. The researchers will then follow up with individuals from both groups regularly throughout the first year. After four years the influence of using G-CSF to treat ACLF can finally be evaluated. 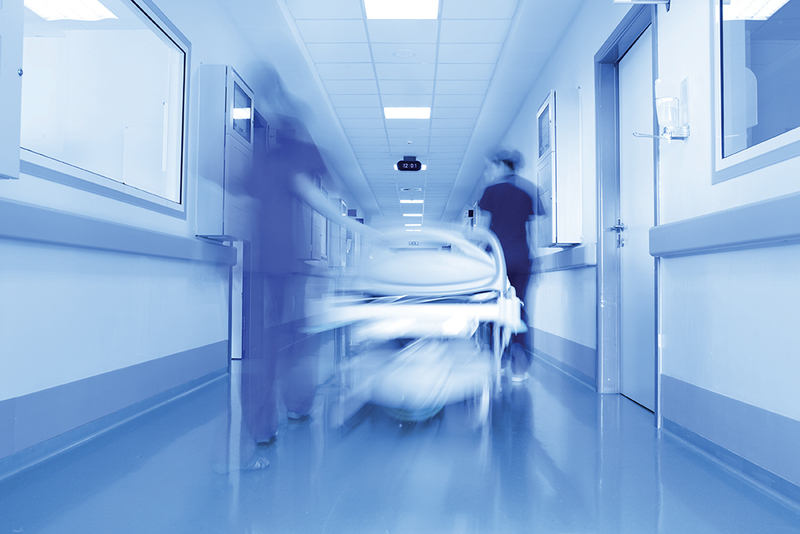 The multicentre trial’s success will then be determined according to the number of surviving participants after 90 days, who haven’t needed to undergo a liver transplant – the typical treatment option given to ACLF patients. The trial is currently actively recruiting ACLF patients to take part. ACLF is a debilitating condition with a worryingly high mortality rate. Developing effective new treatments is therefore paramount to combat this deadly disease. Fortunately, through Dr Engelmann and Professor Berg’s research, G-CSF is now showing a lot of promise in treating the condition. Working together they are developing a new treatment strategy that has the potential to change clinical practice and save many lives in the future. Dr Cornelius Engelmann is a German national, born in Ruedersdorf (near Berlin). He currently works as a Senior Research Fellow at University College London’s Institute for Liver and Digestive Health. However, prior to that he studied medicine at the University of Leipzig in Germany between 2000 and 2006. During that time, he worked in a number of hospitals including the Departments of Neurosurgery and General Surgery at Royal Hallamshire Hospital, UK, and the Department of Anaesthesiology and Intensive Care Medicine at University Hospital Leipzig, Germany. 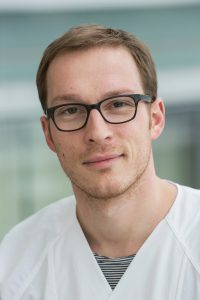 After receiving his licence to practice medicine, Dr Engelmann went on to work as a Resident in Internal Medicine at Park-Hospital Leipzig before moving to University Hospital Leipzig in 2011. He later worked as a Medical Specialist at the Royal Free Hospital, London, before becoming a Research Fellow at UCL in October 2017. After completing his medical training at the University of Tübingen, Freiburg and Berlin, Germany, Professor Thomas Berg specialised in Internal Medicine in 2001, becoming a lecturer in the subject in 2002. During the same year, Professor Berg also became Associate Director and Professor of Medicine at the Department of Hepatology and Gastroenterology of Charité, Campus Virchow-Clinic, University of Medicine in Berlin, where he was Head of the Liver Out-Patient Clinic and the Laboratory for Molecular Hepatitis and Viral Diagnostics. 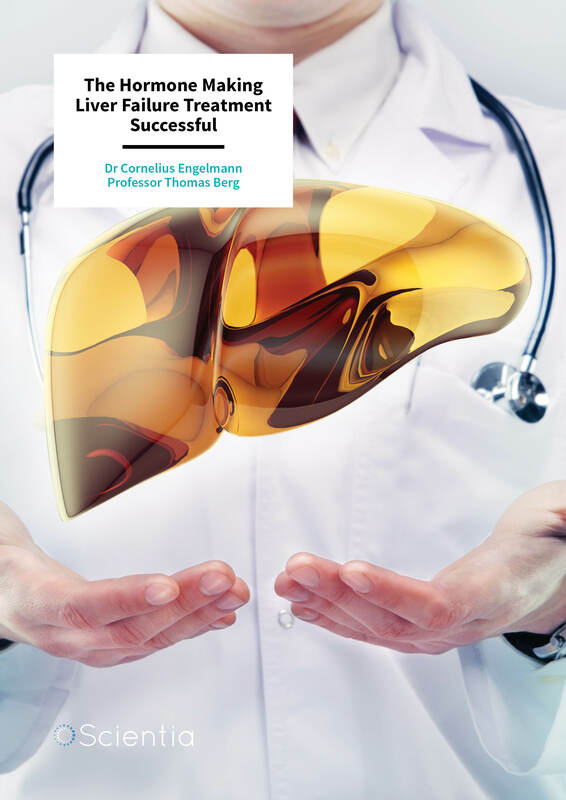 Since December 2009 he has worked as the Head of the Section of Hepatology at the University Hospital in Leipzig, as well as of the Liver- and Study-Centre Checkpoint in Berlin, Germany. C Engelmann, T Berg, Effects of granulocyte-colony stimulating factor (G-CSF) on stem cell mobilization in patients with liver failure, European Journal of Internal Medicine, 2016, 36: e37–e39.